Cherry Nut Cake, three layers of spice cake with a blanket of rich caramel filling adorned with candied cherries and walnuts scattered throughout each layer. Family traditions during the holidays are what makes memories. 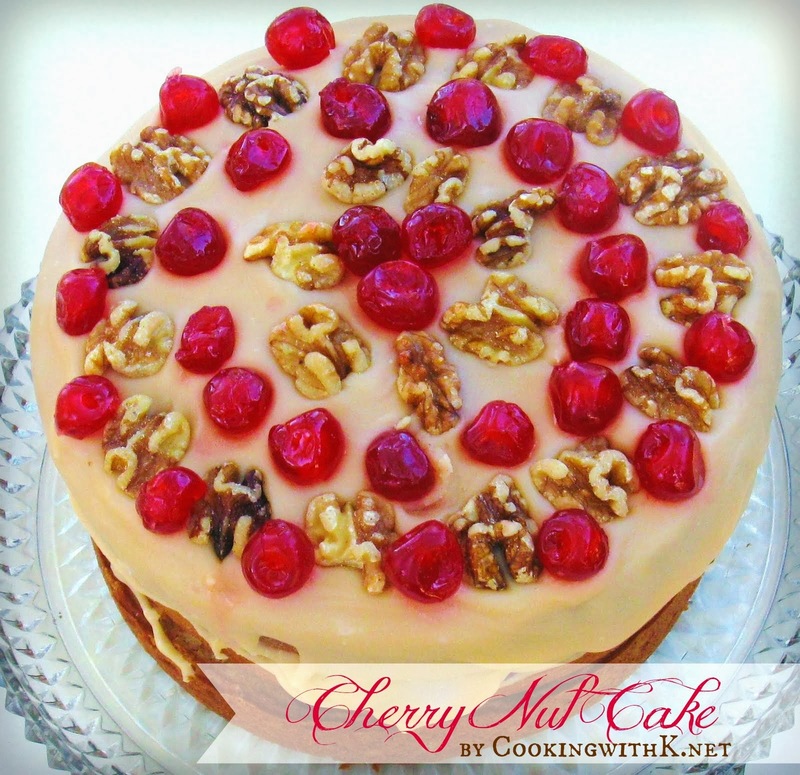 My Mother would always make this Cherry Nut Cake around Thanksgiving and Christmas. You might think you are eating one big piece of candy with each bite. I like to call it my "Very Merry Christmas Cake"! Preheat oven 350 degrees F. Grease and flour three 9 inch cake pans; set aside. In bowl of mixer, cream sugar and butter until fluffy. In a medium bowl, mix dry ingredients. Add to sugar and butter mixture alternating with buttermilk. Fold in nuts. Pour batter into prepared cake pans. Bake at 350 for 30 minutes or until the cake tester comes out clean. Invert cake onto wax paper and cool. While cake is cooling prepare filling. In a medium saucepan on medium heat, melt butter. Add sugar, milk, and corn syrup. Cook until a soft boil stage or 240 degrees on a candy thermometer. Once filling has reached soft boil stage, take off the burner and beat until golden and thick enough to spread. Spread filling on first layer of cake (not on sides). Sprinkle whole walnuts and candied cherries over filling. Place the next layer of cake on top of the walnuts and cherries and repeat the process. Family traditions are what make each family unique! 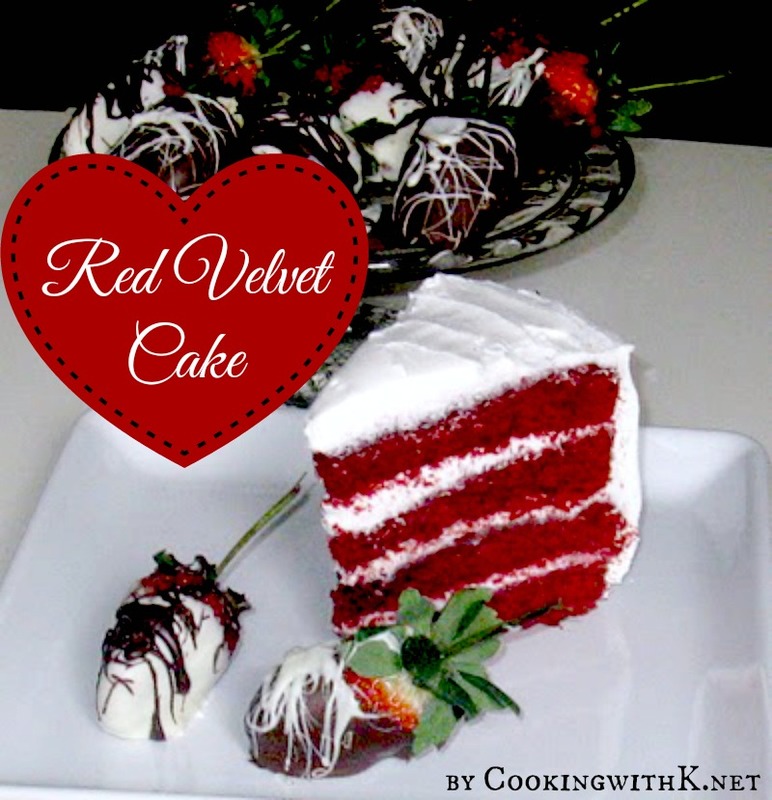 I'm drooling over this cake! It looks divine. This cake looks delicious! I love family traditions...they make the holidays so much fun to look forward to. This is great! 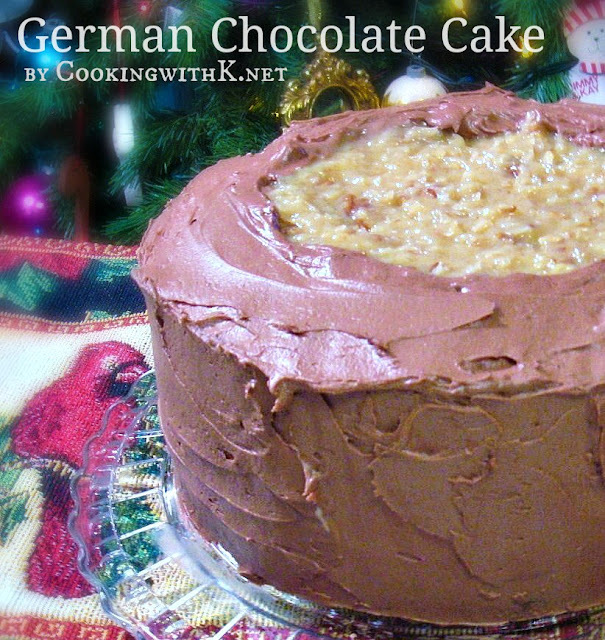 I think I can make some of this for my grand mom since she used to bake some cookies for us when we were kids. Now it's time to bake some cake for her. Yum! I'd like to try this and substitute almonds! wowie how yummy...love how the top is decorated! Welcome Patsy to CWK...hope you stop by often! Mmmmm - I can taste it now! So nice of you to preserve and share your mother's recipe. Neither my mother or grandmother were particularly good in the kitchen :(... You're quite blessed to have your mother and grandmother's recipes. Nice meeting you - have a great week. Looks good. Just wondering if anyone has tried this recipe.. I noticed it didn't have any eggs. The recipe is correct. There are no eggs. It is a dense moist cake....so delicious!